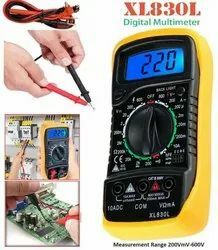 Pioneers in the industry, we offer digital multimeter, multimeter, power monitors, lan cable tester, multimeter xl830l and mt87 mini clamp lcd digital multimeter from India. 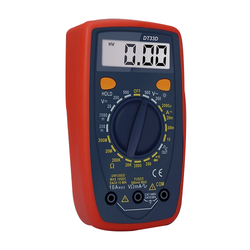 Product advantages: The blue backlight allows you to see the reading clearly in the dark environment. You can keep the current test data, and check the reading results after the test. The provided case offers protection when it drops. Descriptions:The product adopts the microcomputer chip with high integration and specialized chip for energy metering, along with current sensor and LCD display with high precision, to achieve a comprehensive monitoring of electrical equipment, can be used to monitor the air-conditioners, fridges and microwave ovens and other household appliances.Features:Monitor the current value of the active power.Monitor the current voltage/current/frequency.Record powering time.Record power consumption.Calculate CO2 emissions.Power factor pick-up.Set the alarm threshold load.Large LCD display. Cable tester:Test respectively double-twisted cables 1, 2, 3, 4, 5, 6, 7, 8 and ground.Is able to judge wrong connection, short channel and open channel.Cable tester for RJ11, RJ45. Etc.It can easily refine the cable, continuity, open and short.The function of automatic scanning for rapid testing.Earthing Tests.Assembly in power switch for energy saving.Work with one 9 V battery (not included)A blow to the percussion instrument:Precision blades and economical wire finish.Durable Punching Tool, makes a network installation all that easy.The only tool you will need to add, change or delete connections.A specially designed wire hook removes the completed conductors.The blade helps to easily remove the blocks from the rear frame.It is a perforator for installing wires in sockets, patch panels or sockets.A specially developed tool for removing and finishing wires with one unstressed impact, bring new lightness and speed to all your installations Equipment:1. Cross-head screwdriver:Soft rubber grip, cutting head and magnetic processing used for disassembling desktop computers, import of fruits and vegetables / export-production and sale. 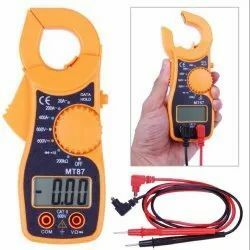 Cable tester:Test respectively double-twisted cables 1, 2, 3, 4, 5, 6, 7, 8 and ground.Is able to judge wrong connection, short channel and open channel.Cable tester for RJ11, RJ45. Etc.It can easily refine the cable, continuity, open and short.The function of automatic scanning for rapid testing.Earthing Tests.Assembly in power switch for energy saving.Work with one 9 V battery (not included)A blow to the percussion instrument:Precision blades and economical wire finish.Durable Punching Tool, makes a network installation all that easy.The only tool you will need to add, change or delete connections.A specially designed wire hook removes the completed conductors.The blade helps to easily remove the blocks from the rear frame.It is a perforator for installing wires in sockets, patch panels or sockets.A specially developed tool for removing and finishing wires with one unstressed impact, bring new lightness and speed to all your installationsEquipment:1. Cross-head screwdriver:Soft rubber grip, cutting head and magnetic processing used for disassembling desktop computers, import of fruits and vegetables / export-production and sale. 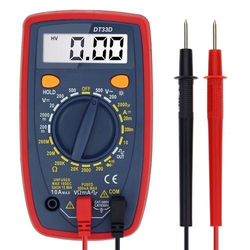 Looking for Electrical Testing Equipments ?